The Japanese Geostationary Meteorological Satellite (GMS) series, also known as its nickname, "Himawari" (meaning a "sunflower"), is on the geostationary orbit at 140 degrees of east longitude to carry out weather observation from space being part of the World Weather Watch (WWW) project of the World Meteorological Organization. The images of the earth and clouds sent from this satellite series have been used in many areas such as weather forecasts in TV or newspaper; therefore, it is strongly connected to our daily life. 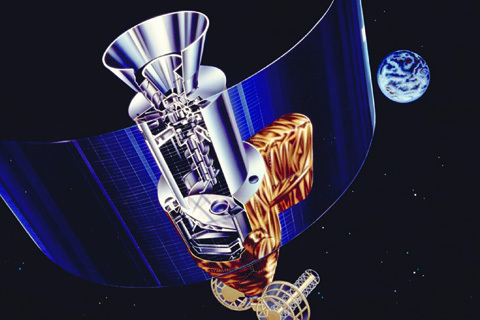 After the "Himawari-6", the GMS series was replaced by a Multifunctional Transport Satellite series to broaden its scope of operation. It is operated by the Japan Meteorological Agency for climatic observation.